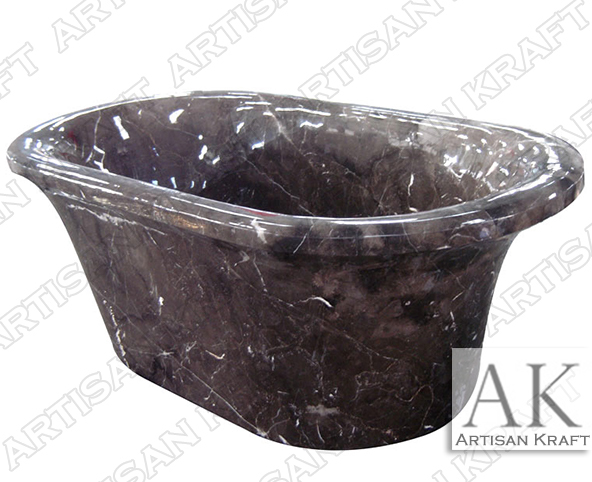 This coffee marble tub is a mixture of brown and black hues along with a bold lightning white. This tub accentuates the bold, luxurious tones of your calming and peaceful bathroom. This is a cost effective choice to Spanish Emperador stone.